"This is Station 2UW Sydney...."
Transmitted from a vertical aerial towering 365 ft. above the city’s skyline, the voice of 2UW dominates the listening habits of a great proportion of the 1,500,000 people who live within the area of Greater Sydney. Operating 24 hours of every day . . . Originating the biggest of programmes on the air from as fine a broadcasting theatre as exists in Australasia . . . with as great a schedule of topline feature programmes at night, and in daytime, as has been gathered together on one station in Australia. That is why MOST PEOPLE LISTEN TO 2UW. The very best in music to suit every taste . . . the cream of dramatic entertainment . . . fast-moving quiz programmes . . . 15 of the most popular serials on the air . . . 11 news broadcasts daily . . . community singing broadcasts which, during the war, raised more than £3500 for the Red Cross . . . and a complete coverage of everything in sport. That is the framework upon which 2UW’s programme schedule has been shaped. That is the story, too, of the extraordinary development of 2UW since it was taken over by the Australian Broadcasting Company in 1932. The fourteen years which have followed have written one of the really great stories of achievement in commercial broadcasting in Australia. The original staff of twelve has become an organisation of more than 100 people. The side street studio of 1932 has been replaced by the most modern equipment in the Commonwealth, and 2UW today enjoys a prestige such as is given to few broadcasting studios in Australia. Unique in its broadcast service, too, is the fact that 2UW is the only broadcasting station in Australia which operates continuously 24 hours a day, 7 days a week. Great programmes which entertain hundreds of thousands of listeners, not only in Sydney itself, but throughout Australia, are broadcast from the 2UW Studios and the 2UW Theatre each week. 2UW includes also in its feature broadcasts, the outstanding programmes produced in Melbourne . . . and the combination of the best in Sydney and the best in Melbourne provides 2UW with an unrivalled parade of entertainment. 2UW’s coverage in sport has been famed since the station inaugurated “ball-by-ball” descriptions of the Cricket Tests in England in 1930. Leadership has been held in each succeeding year, and today, the sporting coverage provided by 2UW embraces a split-second descriptive service of every worth-while sporting event in Sydney, with an up-to-the-minute coverage also of important interstate sporting fixtures. For everything in sport, as in all other forms of broadcast service and entertainment . . .
Beauty in design the application of every modern principle of acoustical science . . . and an atmosphere of complete intimacy in theatre planning. Those are the factors which produced the 2UW Theatre (“The Theatre Beautiful”), which wrote a new chapter in the history of Australian broadcasting. Today, as on the opening night in 1942, it remains one of the great features of broadcasting in Australia. Each year more than 120,000 people are the guests of 2UW and the station’s sponsors, to witness the broadcast from the theatre stage of some of the greatest programmes on the air in Australia. One of the established facts of broadcasting in Australia is that George Edwards has been for 13 years the greatest single figure in dramatic serial entertainment. His popularity today is greater than ever, and a George Edwards serial drama has become an integral part of the programme schedule of more than 80 stations throughout Australia and New Zealand. 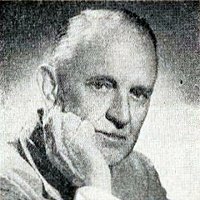 In Sydney the George Edwards’ productions are broadcast only by 2UW, and his association with 2UW has over the years attracted and held an immense audience. The list of his successes is a schedule of the outstanding serial programmes broadcast in Australia over a decade. 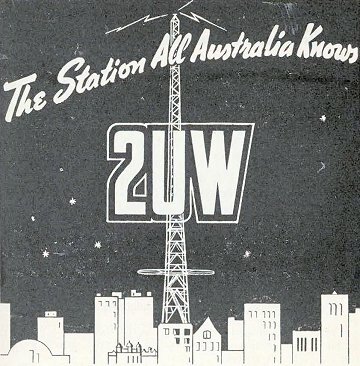 2UW Sydney - The Station All Australia Knows, Broadcast Year Book and Radio Listeners' Annual of Australia 1946-47. 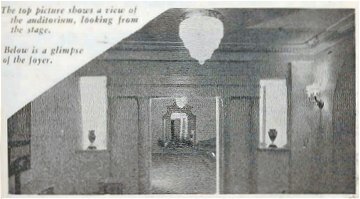 Digital version of text, images and layout © Radio Heritage Foundation 2011. "The radio craze will soon fade."